Writer/director Christopher McQuarrie has crafted what is arguably one of the best action films of all time, certainly the very best since 2015's Mad Max: Fury Road, with Mission: Impossible - Fallout. 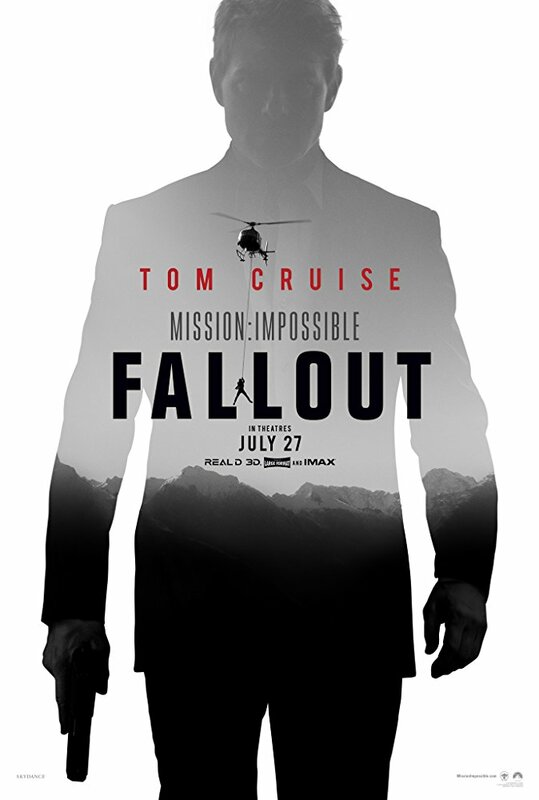 It's a suspenseful, wholly engaging story brilliantly told, with a great performance by Tom Cruise and cast, and spectacularly staged and executed action sequences. This is action filmmaking at its best -- I cannot imagine a future Mission: Impossible film one-upping what McQuarrie has delivered in Fallout. The best blockbuster film of the summer. It takes all the elements people love about the franchise then dials it up to eleven. The action scenes and chases haven't been this exciting in an action film probably since its predecessor Rogue Nation. The returning cast is great. The underrated actor Sean Harris doesn't disappoint as arch-villain Solomon Lane. Henry Cavill's CIA agent Walker is a good addition to the proceedings and Vanessa Kirby is having a ball as the femme fatale arms dealer White Widow. Christopher McQuarrie solidifies himself as one of the top action directors working today. Not only that, he knows how to weave it into a good story too. As improbable as it seems, the Mission:Impossible series has gotten better with age. Fallout can be considered the first true "sequel" (as it features the same villain and female lead as the previous film) and it actually works in the film's favor. The action has never been bolder, the stakes have never been higher and the actors have truly acclimated to their roles - and the new arrivals fit right in as well. All told, you couldn't ask for much more in an action series and as far as I'm concerned the skies the limit. You know, I normally stay cool and collective when movies with this amount of hype blows up, but f**k it. This freaking lived up to the hype. I mean, wow. Probably one of the best action movies of the year. From start till finish, you�re captivated by the practicality of these action sequences. Never feeling repetitive or boring. Foot chase, car chase, or helicopter chase - It�s going to be awhile for any action movie to top what they did. This franchise has age like fine wine. No posts have been made on this movie yet. Be the first to start talking about Mission: Impossible - Fallout!